Cycle Electric is the leading manufacturer of high quality American made charging systems. Cycle Electric is the leading manufacturer of high quality American made charging systems for use on Harley Davison® and other American made V Twin motorcycles. They manufacture all of their generators, regulators, rectifying regulators and stators in Brookville Ohio factory. They offer 46 complete charging systems to cover from 1936 to present day. 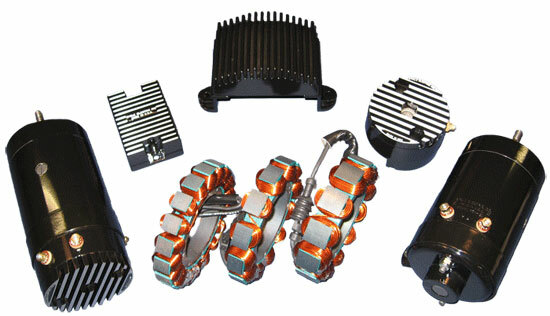 Cycle Electric Inc. components are designed to deliver better-output and increased durability. All Cycle Electric Regulators are built to last. We start with a rugged design capable of handling overloads and continuous operation. Then we use only top quality materials and military spec. assembly processes to ensure a low failure rate and the longest service life. 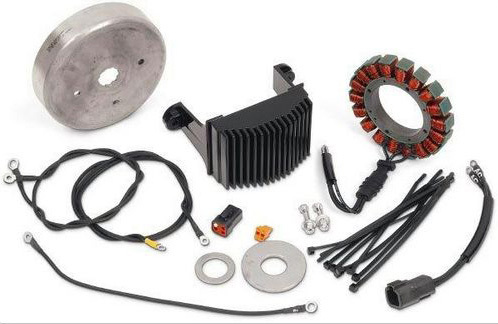 Cycle Electric Inc alternator kits combine our state of the art stator with our legendary bullet proof rectifying regulator and a stock Harley rotor. They deliver better low speed output and a smoother charge to the battery for crisper starting and longer battery life. You will not find a more durable or longer lasting system. They have a full two year guarantee and are 100% American made. Cycle Electric is the leading manufacturer of high quality American made charging systems for use on Harley Davison® and other American made V Twin motorcycles.